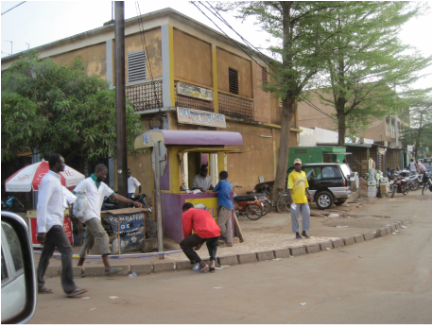 From November 2011 to March 2012, I went to Burkina Faso to collect data on agricultural production and land institutions. I have designed and conducted a survey on land tenure, agrarian and social change in five villages of the Hauts-Bassins region in Western Burkina Faso. We collect data at the village, household and plot levels using quantitative and qualitative data collection instruments. I used these data to study the role of collective action in farmers' access to agricultural resources. Part of the AFD research program on "Institutions, Governance and Long-term Growth" , I participated in the collection of data on the perceptions of governance, quality of institutions, business environment, etc. in Ouagadougou (Burkina Faso) . In May 2011, I conducted interviews with politicians, entrepreneurs, representatives of civil society organizations, as well as donors.